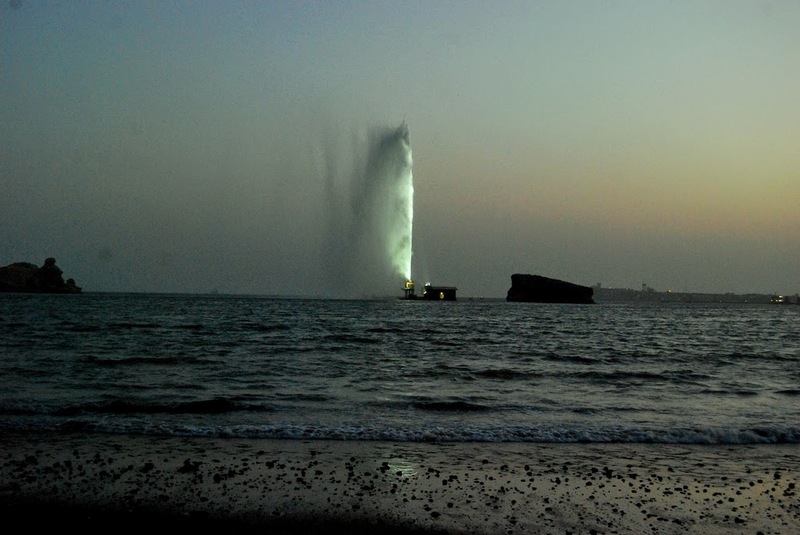 The Karachi Port fountain is the world's third tallest fountain and rises to height of 620 feet when operating at full force. 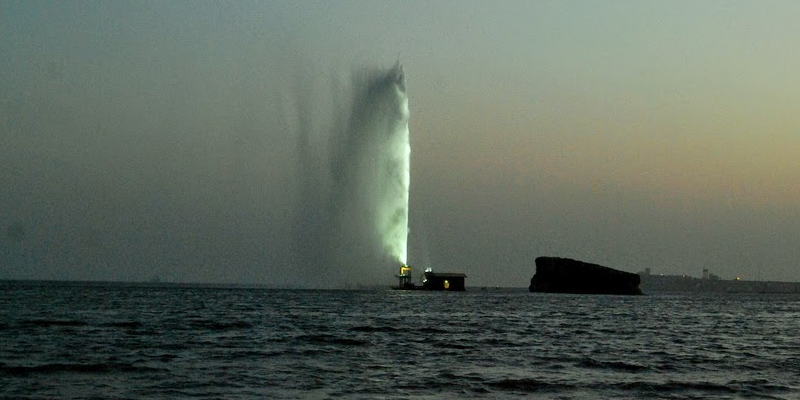 The fountain is located next to the Northern rock of a series known as Oyster Rocks, off the Karachi harbor. Ever since its inauguration by the President of Pakistan on 15th Jan 2006, the fountain has been attracting visitors from all over Pakistan.The fountain structure and platform of 135 sq meters (15m x 9m) is on 16 piles 18 meters deep. Two 835-horsepower turbine pumps deliver nearly 2000 liters of sea water per second at a velocity of 70 meter per second through specially designed 8 inch nozzles. Because the fountain rises so high into the air, it is quite easily seen from many locations of the city. Many high rise apartments, buildings and surroundings overlook the fountain throughout the community at the beach. 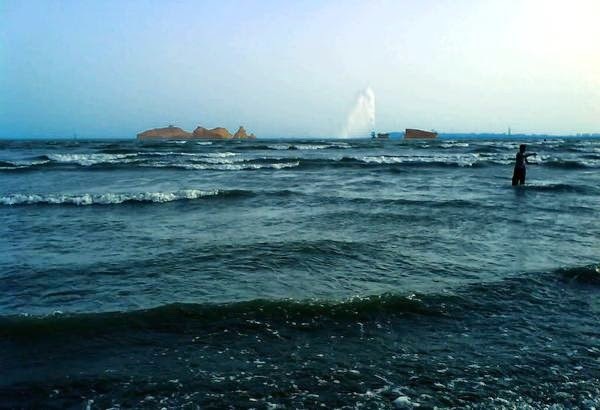 The column of water can be seen from miles at sea. 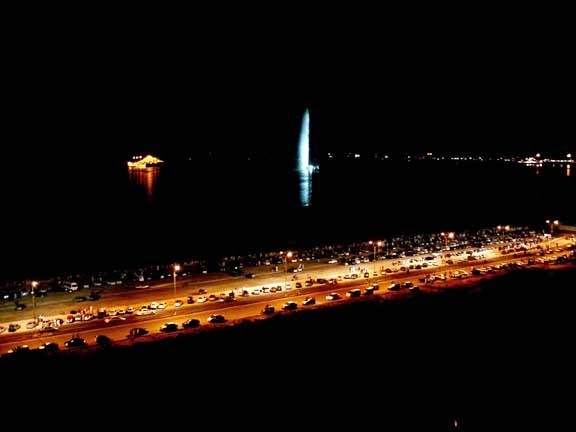 The fountain is located 1.4 km away from the beach to avoid spraying neighborhood homes. Maximum vapours travel up to a radius of 500 feet around the fountain. Eighteen flood lights of 400 watts illuminate the fountain at night.